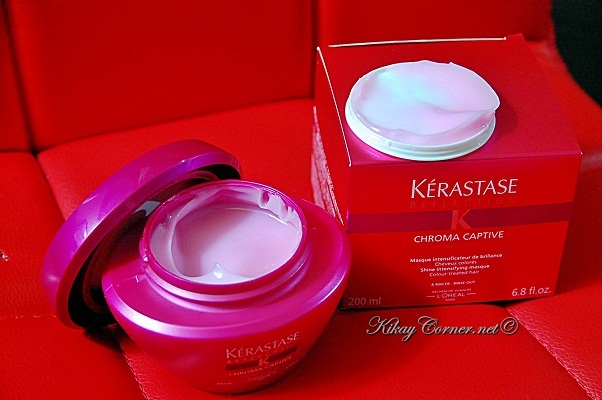 Capture, Magnify and Protect Hair Color with New Kerastase Chroma Captive. A guarantee every girl with color treated hair could make use of. I should know since I’ve had my hair colored notoriously since I was in college. Hair color treatment is one of those things we actually start doing and never go back. 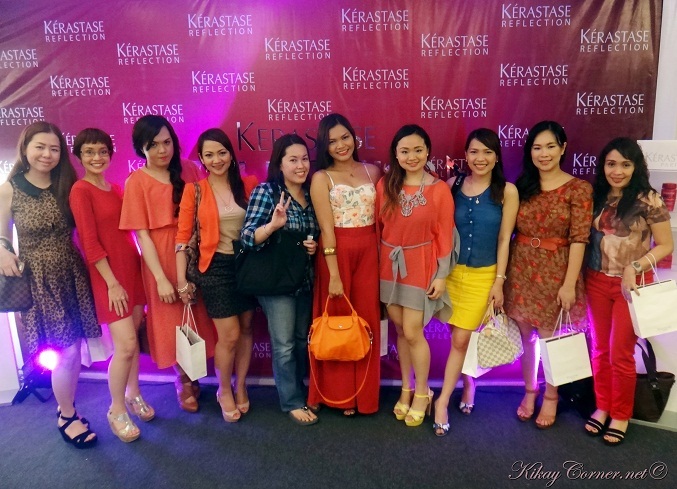 The problem though with hair color treatment, its intensity doesn’t really last a long time from the moment we step out of the salon. Here’s to help us understand the dynamics of how Kerastase Chroma Captive does its job within this Chromatic Pyramid. 1) At the peak of the pyramid sits shine, which acts as the “top tone” of colour and is attacked by mechanical factors such as brushing and daily heat styling. Linseed Oil in the Chroma Captive range is responsible for this as it repairs the hair stracture and coats its surace for maximum fibre homogeneity and light reflection. 2) The “heart tone” which sits at the heart of the pyramid represents colour protection which can be damaged by colour oxidation due to UV rays and free radicals. The UV Filter + Vitamin E protects the color from all external aggressions. 3) Finally the “bottom tone” that represents colour intensity is affected by repeated washes. Kerastase’s exclusively patented technology Zinc Gluconate traps the pigments deep within the hair shaft to stabilize the color. 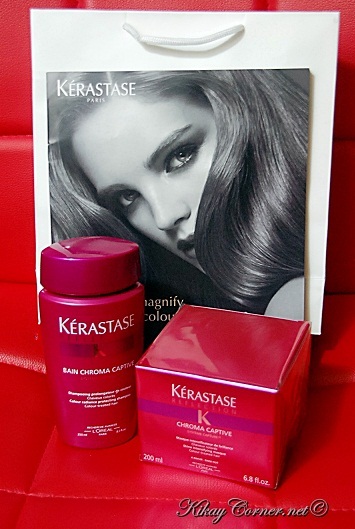 This allows the hair color to last more than it normally would without the Kerastase Chroma Captive range. Fondant Chroma Captive Shine Intensifying Care retails for P1,693 and comes in 200ml bottles. Hair fibre is left smooth and shiny, replenished and colour is brilliant and protected. Masque Chroma Captive Shine Intensifying Masque retails for P 2,708 and comes in 200ml jars. Hair is left smooth and silky, colour has superior shine. I love that more and more reputable products are taking Paraben out of their products’s formula. 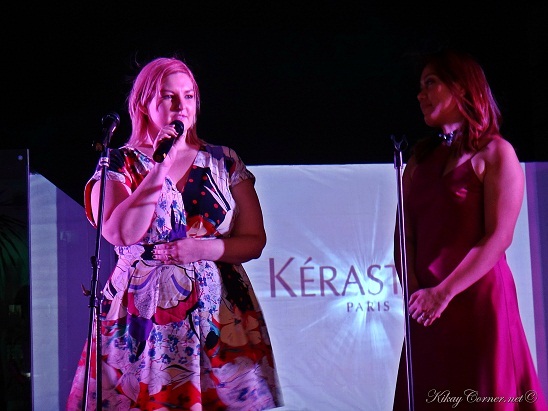 This is also why I’m giving Kerastase Chroma Captive range a shot. I already started using it last night. But will ultimately put Chroma Captive to the test when I get my next hair color treatment done in the coming weeks.